I adored The Fault in our Stars, so I’m excited to get stuck into this novel also by John Green. Miles “Pudge” Halter’s entire life has been pretty much a nonevent. That is until he meets the beautiful, self-destructive, funny, screwed-up, Alaska Young at boarding school. He falls hopelessly in love and life is never the same. 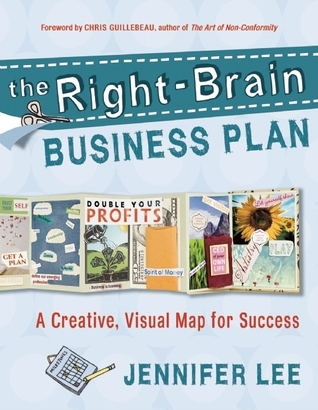 Let’s face it, us right-brained creatives don’t approach business like our more analytical counterparts. Finally a book that speaks to our entrepreneurial spirits and gives us a strategy to create a successful business, using imagination and intuition as strengths instead of weaknesses. An intriguing novel about a workaholic single mom who deals with the apparent suicide of her daughter by investigating her life and her last days, uncovering some shocking truths. Did her daughter really jump, or is there more to the story? This Novel is said to be made into a movie with my favourite actress, Nicole Kidman, as the leading lady. Books are always better than movies and after falling in love with this film, I knew I had to read the book! Set in the Holocaust, young Liesel ends up stealing when she comes across something she can’t resist: books. Her story unfolds as she learns to read and shares the stories with her neighbours during bombing raids. I follow Holley’s blog and after reading You’re Made for a God-Sized Dream, I knew this follow-on book would be nothing short of amazing. It’s 40 days of devotionals that will encourage you to challenge yourself, self reflect, and ultimately help you pursue your God-Sized dream. Any other books I should add to my ever-growing list? Happy reading! Blogger and Social Media Strategist. In ♡ with the idea of inspiring with words & photographs.